Colleges have long been hotbeds for stoners indulging in cannabis, and the substance's popularity has only risen as more states have approved the use of recreational weed. While many campuses remain smoke-free, that has not stopped students from partaking in edibles, smoking joints or vaping. The Princeton Review ranked the top schools where there are the most cannabis users. The top school is the University of Vermont which has 11,159 students with Ithaca College in New York following in second place. The list was compiled based on students' answers to a survey which asked, "How widely is marijuana used at your school?" These tallies are not scientific since the University of Colorado—Boulder ranks fifth on the list. It is anyone's guess how many students are high while they are studying or hanging out with their friends, but the approval of the adult use of marijuana has increased access to a plethora of products and better quality, especially at schools in Colorado. While it appears obvious that colleges or universities that consume the most cannabis would be in states like Colorado or California ranging from the University of Colorado Boulder to the University of California, Berkeley, keep in mind there is a massive illegal market that students tap into, said Jason Spatafora, co-founder of Marijuanastocks.com and a Miami-based trader and investor known as @WolfofWeedST on Twitter. "I can say from firsthand experience that cannabis was not hard to get at the University of Arizona nor was it hard to get at NYU or UVM (Vermont)," he said. "Ask a few NYU students to give you the name of a delivery service and it will likely be a non-issue." The demand is high among students and the supply is also plentiful, which means more states should be more "decisive with their legislation of cannabis if they are serious about fighting a $50 billion illegal market because college kids will always find a way," Spatafora said. Many other universities are also levered to the marijuana movement, said Michael Berger, founder of Technical420, a Miami-based company that conducts research on cannabis stocks. While the schools on the West Coast receive the most attention, marijuana use is also very prevalent in schools in the northeast, Midwest and southeast. "Although California and Colorado colleges are at the center of two massive legal marijuana markets, growth has been seen nationwide," he said. "There is an ongoing trend of increased cannabis use and decreased alcohol use, which we find to be encouraging." Oregon students are using more cannabis, according to a study by Oregon State University. The researchers examined the usage before and after the law took effect in 2015. Not only did more students across the U.S. partake, but at the Oregon university more smoke or digest weed products, according to results which were published in June in the journal Addiction which did not identify any of the universities. "It does appear that legalization is having an effect on usage, but there is some nuance to the findings that warrant further investigation," said the study's lead author David Kerr, an associate professor in the School of Psychological Science in OSU's College of Liberal Arts. "We found that overall, at schools in different parts of the country, there's been an increase in marijuana use among college students, so we can't attribute that increase to legalization alone," he added. It goes without saying that college students who want to consume any products in a legal cannabis state should opt to lease an off-campus private residence, said Jeffrey Zucker, president of Green Lion Partners, a Denver-based business strategy firm for early stage cannabis companies and a board member of the Marijuana Policy Project. "It's important to make sure cannabis consumption is allowed under your landlord or HOA's rules," he said. In non-weed smoking news, here are some money tips for your college kid. College campuses tend to be open, accepting and politically progressive towards the use of weed, but students need to remember that the use of it remains federally illegal and is not permitted on college campuses, especially not on smoke-free campuses. Many colleges are becoming smoke-free campuses and in 2011 there were 586 campuses while in 2016 it rose to 1,913 campuses. The states where recreational use is legal will start to see fewer cannabis-related citations on campuses, Zucker said. "Most colleges don't permit on-campus medical cannabis consumption either, which has been a source of controversy and there is currently a lawsuit in Arizona regarding this topic," he said. 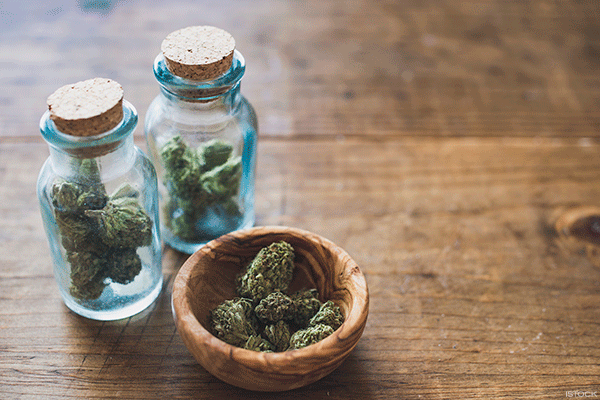 College students have their favorite marijuana products and it varies widely among each state, but "flower is still the most dominant with slightly over half of total sales, according to BDS Analytics," Zucker said. "Edibles, topicals, tinctures and concentrates will continue to erode flower's majority as the industry matures," he said. Since adult use now is in eight states, here is how they rank, according to data compiled by Zucker from 2014 to 2017. 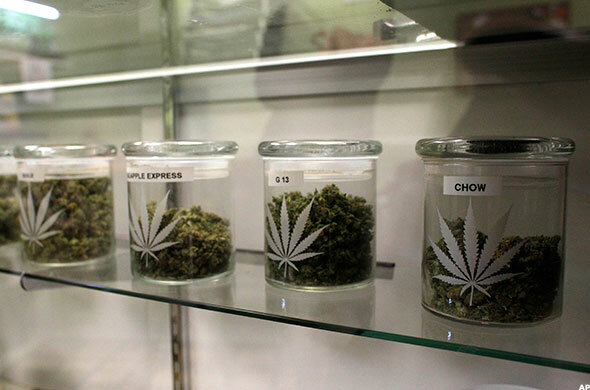 In Colorado, the sales of weed totaled $3.75 billion with 17 schools, including community colleges. Washington generated sales of $1.46 billion and has six colleges. California reported sales of $900 million with 132 private universities, 23 California state universities and nine Universities of California. While sales were slightly lower, Oregon generated $860 million and has 53 universities, including community colleges. The revenue from legal sales in 2017 in California are reported as $274 million and the most popular product is flower (hybrid/Indica/Sativa), followed by vape cartridges, concentrates (shatter/wax) and edibles (candy/chocolates/infused foods). Colorado follows a close second with reports of $200 in sales and the most popular product is flower, followed by vape cartridges, edibles, concentrates and pre-rolls. Sales of $50 million were reported in Washington with the most popular item being sold is flower, followed by concentrates, vape cartridges, pre-rolls and edibles. Oregon reported revenue of $23 million and flower was the highest ranked product, followed by flower, concentrates, vape cartridges and edibles. The acceptance at colleges is increasing with the first "Cannabis Start-up Competition" occurring at Boston University and is run by their BUzz Lab along with Green Lion Partners and is open to current students and alumni who are working on ancillary businesses who will pitch their concepts on November 14. The winner will not only receive a cash prize, but also free consulting advice from Green Lion Partners to either help establish or grow his cannabis business. "The cannabis industry is a dream for entrepreneurs, offering so many new opportunities," said Zucker who has been a mentor and donor with BUzz lab. "There has never been an industry or market quite like this one where states and institutional capital are getting involved so slowly. The little guy has a chance like no other." Since 71% of Millennials believe that cannabis should be legal and cities with universities tend to have a younger demographic, Baker, a Denver-based customer engagement platform for marijuana dispensaries, found that as they expanded into new states, the first dispensary clients were located near college towns, said CEO Joel Milton. "Younger demographics tend to naturally grasp concepts like online ordering and digital loyalty programs, so it was a natural fit for their dispensaries to offer these types of services," he said. The company said their first dispensary client in Oregon was in Corvallis, which is home to Oregon State and the dispensary reported that the early adopters using their order-ahead technology were the professors. "They used Baker so they could shop more discreetly and try to avoid running into their students," Milton said. "We noticed a trend that newer products like concentrates are more popular in these towns. Students have more time to experiment with the newer cannabis products and tend to shy away 'old school' categories like prerolls which was likely how their parents used cannabis." Based on the data from Baker's platform, which includes 300 dispensaries and over 100,000 of their customers, the universities in 2016 and 2017 which spent the most on cannabis are the University of Colorado in Boulder, Colo.; followed by the University of Oregon in Eugene, Ore.; USC and UCLA in Los Angeles; the Evergreen State College and South Puget Sound College in Olympia, Wash.; and the University of Nevada in Reno. Recreational users spent an average of $49 for each purchase in 2016 and the three most popular months for purchases were October though December. For adult use, the days between purchases was 13.69 and the average purchase amount was $49 compared to 10.25 days and $135.61 for medical marijuana patients. Cannabis flower remains the largest source of revenue for both medical and recreational use dispensaries. Flower products make up 43% of adult use sales volume while pre-rolls account for 26%.